1/ You are over tightening parts of the boots or bindings in this area probably because your heels lift if you do not. 2/ Your boots simply aren’t roomy enough in this area. 1/ Be carefull not to over tighten your boots. It is all too easily done with modern fastenings / buckles. This includes, liner lacing, outer shell buckles and laces and ankle straps on snowboard bindings. You may be doing this BECAUSE you are getting heel lift. Get some SHL™ in your boots and stop that heel lift. 2/ A boot technician can thin down the footbeds and you could also wear thinner socks. 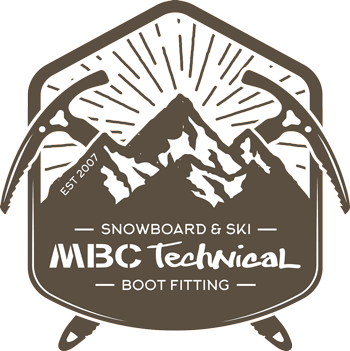 An experienced boot technician may even grind down the foot plate in the bottom of your shells but this is only recommended as a last resort (for ski boots only). A few times we have seen multiple footbeds in boots which will obviously lead to reduced volume in this area. Check there is only one footbed in each boot!